The importance of an organization to develop a vision, mission, and values is important for strategic direction. Without the individual foundations of strong values illustrated by a vision to be undertaken by a mission, an organization cannot become an overly successful organization. Without developing a mission, vision, and values to assist in developing a strategy, an organization cannot identify, distinguish or explain itself to its employees and customers alike. This paper will discuss the importance of developing a vision, mission, and values for the business of water turbine induction systems. A mission statement is important for an organization because it defines the business, products or services, and customers. In addition, a mission statement allows the organization to differentiate itself form competitors by answering three key questions: What do we do, for whom do we do it, and what is the benefit? (N.A., 2006, p. 1, ¶2). 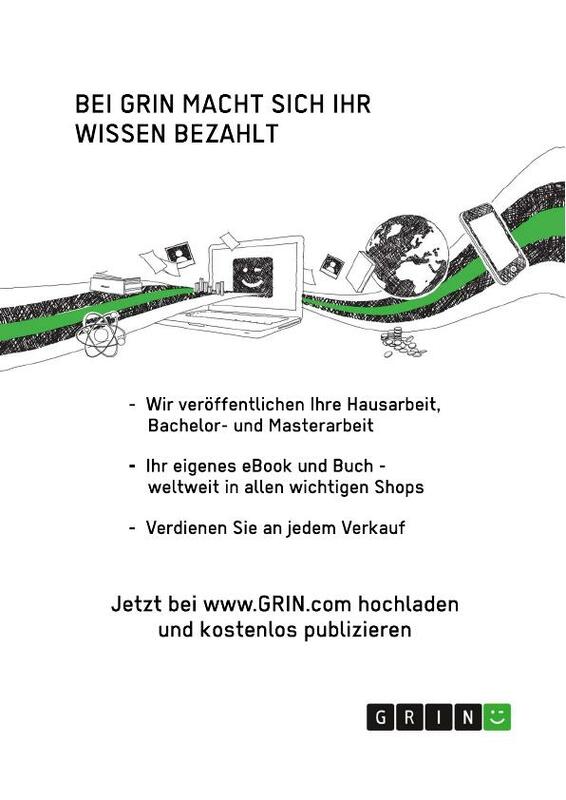 Mission statements build and identify the relationships between employees and the mission, the organization itself, the customer, suppliers, and co-workers (Crans, Gaich & Hisscock, 2009, p. 44-45).According to Crans, Gaich, and Hisscock (2009), “For the truly committed, the mission statement becomes a mantra that is imprinted on his or her heart, against which every possible course of action is weighed and measured. It becomes the litmus test for future actions” (p. 44, ¶7). The mission statement for my water turbine induction system is as follows. We are in the business of developing, building, and selling water turbine induction systems for power generating and desalination plants along the United States coastal regions. Our organization, employees, and suppliers are proud to offer a unique underwater dual purpose design made with high quality environmentally friendly components made in the USA. As a result, our customers can expect long-lasting equipment providing efficient operations. Therefore, customers will be able to provide uninterrupted service of power and water to those who need it quickly and economically. A vision statement describes how the future will look if the organization achieves its mission (N.A., 2006, p. 1, ¶1). An organizations vision or preferred future must contain information that is realistic, credible, and attractive for the organization in the future. According to Payne (2008) “Strategists try to focus the energies of the workforce on the corporate vision” (p. 53, ¶7). A realistic, credible, and attractive vision statement attracts commitment and energizes people, while creating meaning in workers’ lives. In addition, a well thought out vision statement bridges the present with the future while establishing a standard for excellence. The organizations vision statement is as follows. The organizations vision is to provide the tools and equipment necessary to alternative fuel providers to minimize if not eliminates the need for imported natural resources for consumption in the United States. According to Harris (2007), “Guiding principles serve as a platform to nurture desired behaviors in the organization (p. 102, ¶1). Within in this organization, several factors or principles will guide our organization. In every transaction, customer’s interests will be our foremost concern. Placing ourselves in our customers’ shoes gives us the unique perspective of understanding how our customer’s business operates and their expectations. Honest and open communication eliminates miscommunication and misunderstanding causing unnecessary distractions from providing unequalled customer service. Personal, professional, and ethical conduct will be the rule. Wavering from these guidelines is unacceptable. For example, bribes or ill-treatment of co-workers, suppliers, and customers will not be tolerated. Respect is given to all individuals allowing for their creativity and passions to come forward while focusing on the mission and vision. Vision, mission, and values play a part in the organizational strategy process. The basic building blocks of values such as honesty, integrity, respect, and professional behavior is combined and developed into the mission statement of what the organization is all about. Identifying the mission of the organization identifies where the organization is and how it conducts business currently. Values provide the guidance of how the organization will reach the ultimate goal or vision. Without strong and defined values, a mission or vision is not possible because there are no individual steps to provide guidance. Water turbine induction system customers need high quality products, competitively priced within the agreed time frame. In addition, customers expect fair, professional, and courteous treatment. Ethical treatment and social responsibility is also important to customers and selling organizations alike. Providing training, education, and on-site assistance to customers provides additional value that competitors cannot provide. By using environmentally friendly components and processes, we offer an environmentally friendly product that ultimately is used in the production of environmentally friendly energy. Along with the environmentally friendly advantage, the educational and volunteerism of the organization will assist those in the local area to assist those who are disadvantaged and need assistance. Combining economic, political, social, and environmental factors will allow us to grow providing a unique product and sustaining competitive advantage. An organization such as an underwater turbine induction system company cannot develop a strategic plan without identifying vision, mission, and values. By formulating strong and ethical values that are the foundation and individual steps, a mission can be stated. A mission or the current state of affairs for an organization as it is currently helps employees and customers understand what the organization is all about. A mission assists the organization move toward its vision or ultimate goal or objective of what the ultimate end should look like when the organization achieves its mission. 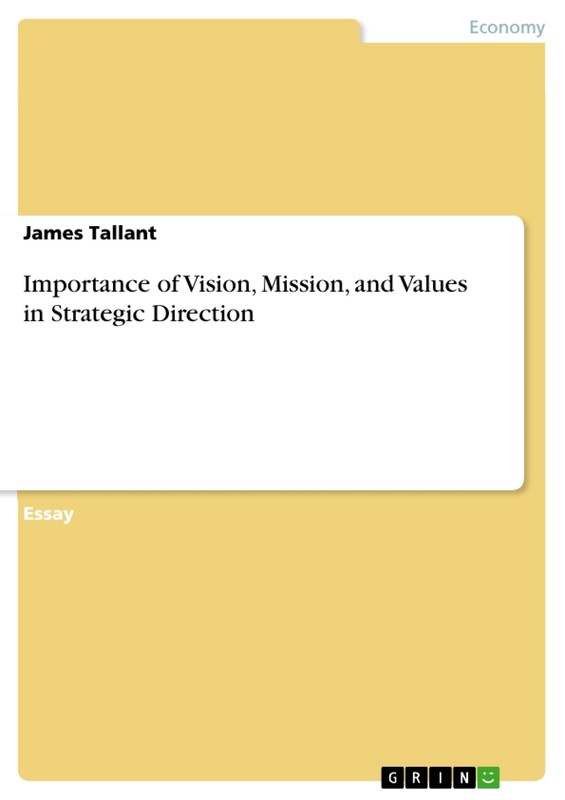 By identifying and understanding how values, mission, and vision interact with one another, and organization can plan a well designed and successful strategic plan leading to competitive advantage. Mission and Vision statements – are they worth it?